my regular expressions goals doesnt work! help me. Re: my regular expressions goals doesnt work! help me. You need to add the "any characters" indicators before and after the page name you are checking for. Whenever possible, use the "URL Match Validator" that is available in the "URL Targeting" section of an experiment to verify that the Regular Expression matches your code. Alternatively, you could change it to "Substring Match" which would accomplish the same thing - it would look for that text anywhere in the URL. 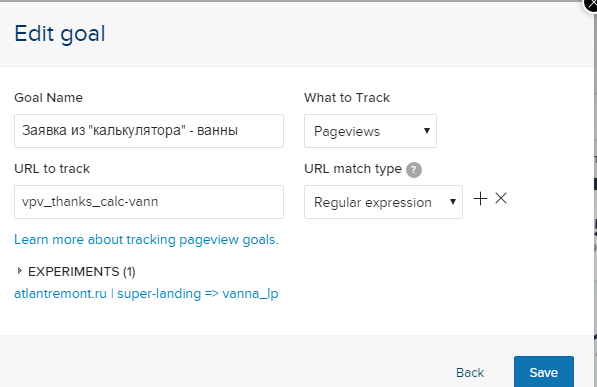 @AmandaS - Might be a good idea to add the URL Match Validator to the goal editing modal/page!